In the lesson you'll jump straight in and gain the knowledge and skills needed to get your first 500 email subscribers. Easy! Email subscribers should be the corner stone of your marketing efforts. It is the most cost effective, most efficient, most measurable and most reliable form of marketing available online and off. Sounds pretty important, right? If you don’t have an email list, you need to get one. Like, right now. ​If you don’t have an email list, you need to get one. Like, right now. I suppose I should explain why – this isn’t a dictatorship, after all. Email marketing is and will continue to be the most powerful form of marketing available to a small business owner, or even any business owner. Spending millions on TV spots might be more effective, but even that is debatable. Anyway, you’re probably not putting millions in to your marketing budget this year, so let’s get back to emails. Direct response marketing has always been the most cost effective and successful form of marketing. In the pre-internet days this usually meant sending out mail with a sales letter that had a specific call to action calling for a response; hence direct response. The opposite of this is brand awareness, where - usually big companies – plow huge amounts of money in to TV, radio and billboard ads to bed themselves in to your subconscious mind through repeat exposure. This works especially well for something you are going to buy anyway, like toilet roll. To get their brand to be the one you think of when you go to the shops looking for your glamorous household bits. Direct response requires minimal budget and works in a much more targeted way. You send it to specific people – those within your target market – with your pitch and precise instruction of what to do next. Once the internet rolled around, this got even better. 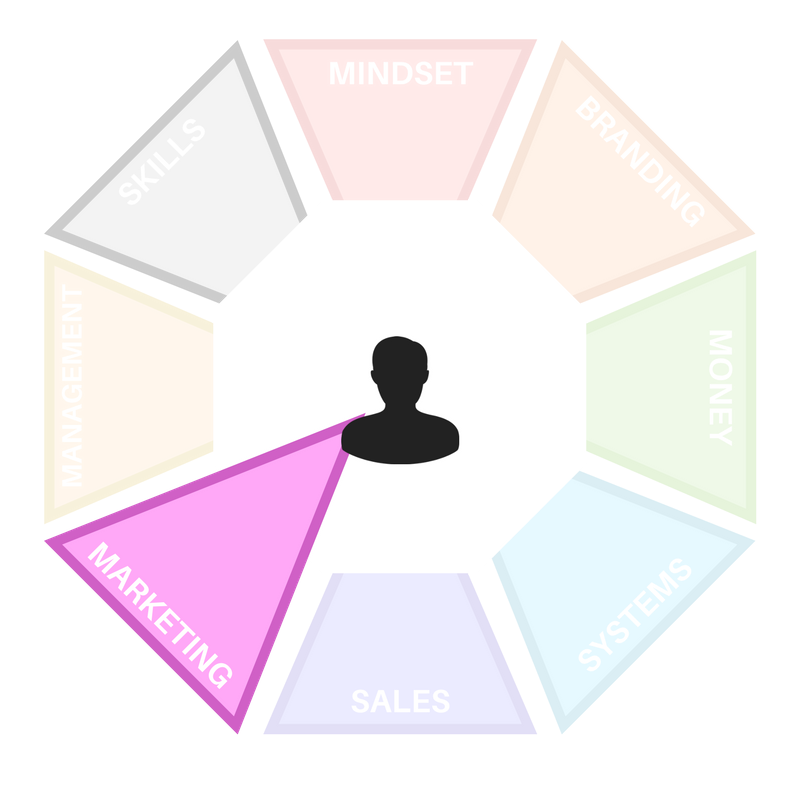 You can now get started completely free and hyper target and re-target potential clients on an individual basis. 85% of the people who would at some time buy your product, will not buy it immediately. To do all of this, with next to no effort. That is email marketing in a nutshell. You collect peoples email addresses who are interested in your products or services and send them valuable content on a regular basis. Then you have a continuous opportunity to convert these people in to paying clients, instead of letting them disappear and never find you again. All you have to do is collect peoples email address, add them to one big list and then broadcast mass emails to them all at once, with the click of a button. There are a number of email services available online that offer this service. The best two for personal trainers starting out are Aweber and Mailchimp. We recommend Mailchimp as it is more pleasing on the eye and easier to use. Go to http://www.mailchimp.com and click ‘sign up free’. Once you have an account, you can use the tutorials to work out the interface. I will describe the things you really need to know below. By law you must enter your address and contact details, this will appear at the bottom of the emails you send for anti-spam legislation. Create a list, name it something relevant and tell people how they got on the list. Say something like “You are on this email list because you requested communication from [YOUR BUSINESS]. Manually add people to your list (see next step). Once you have created your list on Mailchimp the easiest place to start is with your existing email contacts in Outlook, Gmail, Hotmail or whatever email service you use. Go to all contacts and highlight everyone. Send them all an email saying you are starting to send regular emails to your clients and friends to help with their health and fitness – would they like to be subscribed to the list? It’s tempting to just add everyone to the list – you might well have hundreds of people in your email contacts – but that would be illegal and you risk your account being closed down. You only want to email people that want your emails. Nobody is going to buy from you if they don’t even want to read an email anyway. Take the people who reply in the affirmative and copy their emails in to a spreadsheet, then upload it to your Mailchimp list. You can add your clients to the list manually also. Then ask your clients, family and friends if they would like to be added and know of anyone else who might want to be added. Add them to your list manually, but make sure any recommendations have given their permission. Put it out on your social media channels too. Ask your friends and followers essentially the same question you asked of your email contacts – you’re sending out helpful health and fitness emails, do they want to receive? Take the people who do and add them to your list. Now we have exhausted everyone you already know, we start to look further afield, at collecting details from new people you come in to contact with. The first place and the long term answer is your website. You need to create an ﻿‘opt-in form’﻿ on Mailchimp and add it to your website. We suggest having it somewhere prominent such as the top of the right sidebar or even the first thing on the homepage. You will typically get more subscriptions by using a lead magnet *Read how to create your first lead magnet*. You have it on your main website, you can also create a specific landing page *Read how to write your first landing page* that you link to from social media, and elsewhere, to give away your lead magnet in return for an email address. You also want to continually add anybody you come in to contact with and any offline lead generation you are doing. Whenever you speak to someone, if they consent, take their email address and add them to the list. Quick note: Do not lie to people about your intentions. You know what it is like to receive spam email. It’s annoying and will most definitely put you off ever doing business with the company. It’s a good idea to say what you will be sending out (newsletter, blog posts, offers) and approximately how regularly (we suggest weekly to start with). ​Now you have some subscribers, you just need to rinse and repeat the above reaching out ta tics. Don't get complacent, always be giving people the opportunity to sign up tot your newsletter. Depending on how many contacts you already have, how long you have been in the industry etc. you may well already have 500 subscribers. If not, you soon will with your online and offline lead generation efforts. The purpose of all lead generation – we suggest – is to collect email address. Not to make sales. When they are on your email address, you can build a relationship and market to them for ever (or until they unsubscribe). You will end up with a lot more sales this way. Now all that is left is to start sending emails. We suggest you start emailing once per week, if possible at a consistent time and date. You can pre-write emails and schedule them to send at a predetermined time to make this easier for you. The prescription, basically, is send valuable content. Don’t just pitch people non-stop, they will unsubscribe. You have to give them value in the form of good content. Step 4: Start Loving Email Marketing! They kind of is an order, if you want to be successful, understand Email marketing is awesome! It scales extremely well - you can email 5 or 5 million people with the same effort. It's very cost effective (free!) and super easy to set up and manage. There are not many moving parts to get your head around and you get detailed and accurate feedback that gives you much better data to learn from than you would get from, say, social media marketing. Now all that is left for you to do is start generating some leads, sending some emails and signing up new clients. WHAT IS THE MAGIC TRICK TO GET 500 SUBSCRIBERS? There is no magic. Just get yourself organised and start collecting e-mails. Simple. The more you get into the mindset of always taking the opportunity to gain e-mails from your audience, the better you will become at it. When you talk about your business EVER, ask "do you want to know some more?" give us your e-mail! It sounds a bit houndog like, but if you are paying yourself or someone to deliver top notch weekly content then, you are doing someone a favor, giving them a gift and the reward is you have an engaged audience ready to listen about your business, they have given you permission remember! HOW DO I GET EMAILS? This is why I LOVE e-marketing! It doesn't cost you a dime! You can sign up for a free Mailchimp account now and up to 500 subscribers it is free! (You would in-fact need to upgrade to a more powerful mail marketing platform, because Mailchimp has a cap on the limit of subscribers, which makes it perfect for newbies like you!